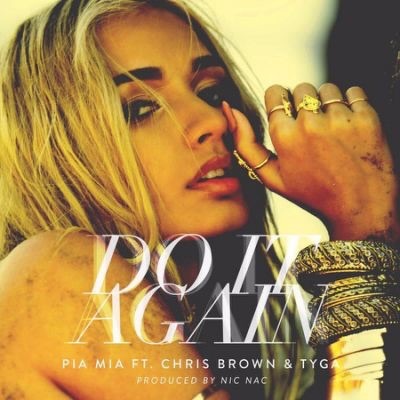 LOS ANGELES, May 5, 2015 / -- Wolfpack/Interscope recording artist Pia Mia releases her first official single "Do It Again" which is now available for digital download and streaming HERE. The infectious Nic Nac produced track features R&B superstar Chris Brown and rapper Tyga. "Do It Again" has been selected for Clear Channel's On The Verge artist for Rhythm radio beginning May 11. Throughout 2014, the singer/songwriter who hails from Guam undeniably left her footprint on the music scene. Billboard Magazine named Pia one of eight "acts who will help define 2014." It's safe to say that she indeed did just that. Pia not only formed her own record label, Wolfpack Entertainment, but also signed with Interscope Records and released her debut EP, The Gift. She collaborated with Chance the Rapper for the soundtrack to the original motion picture "Divergent," and released "On My Mind" which appeared on "NOW That's What I Call Music! Vol. 50." In January 2015, Pia Mia digitally released her track "F**K WITH U" featuring G-Eazy. The song received high praise from fans and earned 12 million views in three months. Catch Pia Mia performing live at Power 106 FM's Powerhouse 2015 on May 16.